You probably watch an occasional home makeover show on television or flip through the pages of a home decor magazine every now and then. 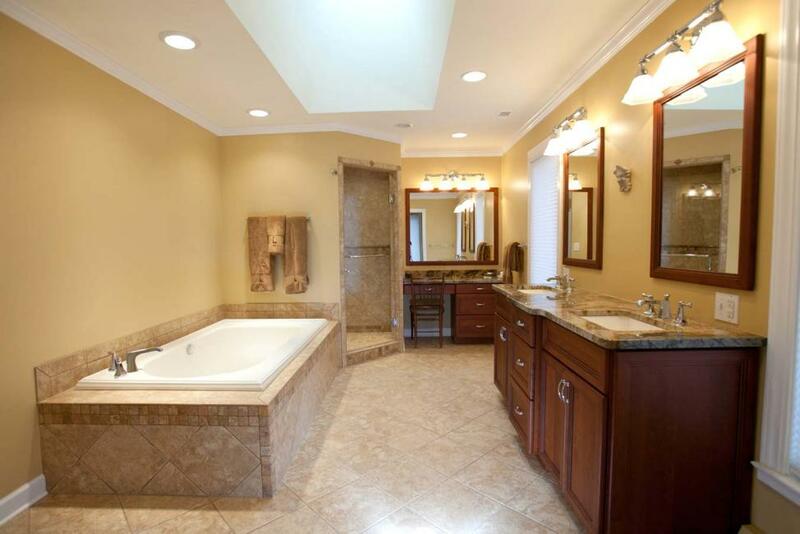 It can be fun to look at a fancy bathroom with elaborate lighting or a fabulous oversize bathtub plus you can get ideas about what you might be able to do in the way of upgrading your own bathroom. Some of the ideas are not all that practical or may be beyond your budget – a shower with a rainfall head or multiple wall-mounted showerheads, for example, while the simple addition of a handheld showerhead is something you can do without even calling in a plumber. Handheld showerheads make it easy to bathe while seated; they are useful for shampooing hair, bathing children, washing pets and even for watering plants. Enjoy a water massage with a handheld showerhead – it allows you to direct the water spray precisely where you want it. A handheld showerhead makes it easy to clean the tub or shower enclosure. Another option often seen in many of the fancier bathrooms is a heated towel rack – they make it easy to wrap yourself in the comfort of a hot fluffy towel after bathing. This might be perceived as a luxury item but the reality is that heated towel racks are very practical – use them to dry swimwear and fine washables, warm baby clothes and blankets, pre-warm mittens and winter gear and to ensure that towels dry more quickly, thus reducing the possibility of mildew. There are wall-mounted models, free-standing units and even counter-top towel warmers.